Barry's practice concerns agricultural holdings, compulsory purchase and compensation, landlord and tenant, easements and restrictive covenants, rights of way and highway law, commons and village greens. Arbitration work is an important element in his practice. Called to the Bar 1972, Middle Temple. Until the recent conferment of HonRICS, Barry was a Fellow of the Royal Institution of Chartered Surveyors. He is an Hon member of the Central Association of Agricultural Valuers, and a Fellow of the College of Estate Management. He was editor of the Estates Gazette Law Reports 1987-2006 and joint editor of the Planning Law Reports 1986-2006. His publications include Compulsory Purchase and Compensation (10th Edition) 2013 (also available in a Kindle version); Development Law and Planning (4th Edition) (2012); Law of Commons and of Town and Village Greens (2nd Edition) (2006) (Joint author); Atkins Court Forms, Compulsory Acquisition 2013; and contributions to Halsburys Laws of England and the Encyclopedia of Forms and Precedents. 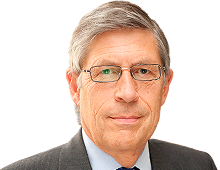 He is a past chairman of the Compulsory Purchase Association and is a member of its national committee.